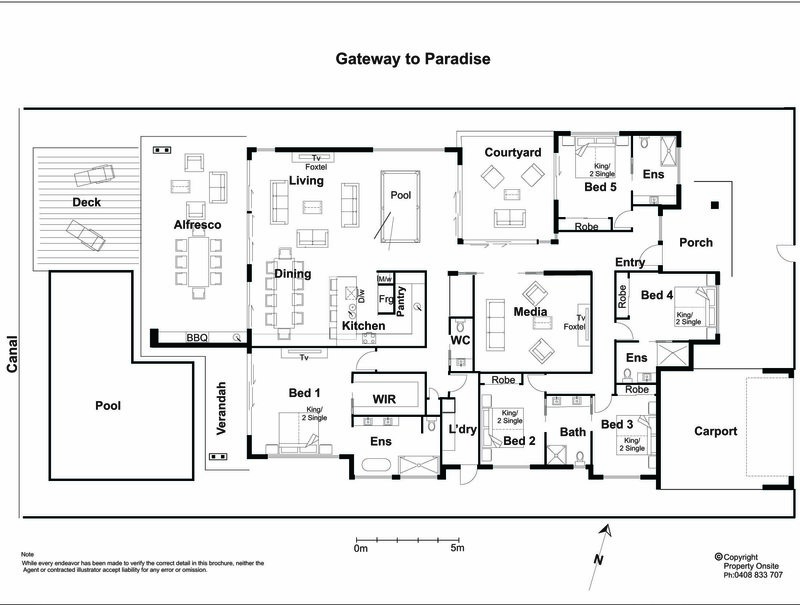 We have another gorgeous property, Gateway to Paradise, opening in November. We’re busy furnishing it at the moment and can’t wait to show you this luxury Gold Coast holiday home. We won’t have photos until we’ve finished the furnishing process, but here’s a sneak peak of the floor plan! To celebrate this fantastic new holiday home, we have a very special offer. Stay 7 Pay for 5 nights on the remaining dates in November and December at Gateway to Paradise. That’s right – be one of the very first to stay and save! To take advantage of this amazing offer, call us on 07 5592 3881 (be sure to mention “Opening Special”).